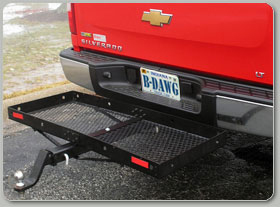 Introducing the B-Dawg® Drone and Dreadnaught, your entry-level choices for hauling your cargo. 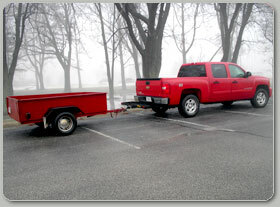 Measuring 48" x 20" x 3", the Drone will handle your basic carrying needs while the W I D E Dreadnaught at 60" wide will carry even your bulkiest cargo. 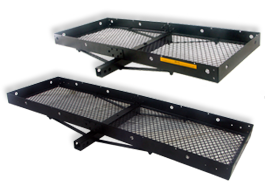 3" Steel Flat Stock rim with ample locations for bungees and straps makes securing your cargo a breeze. 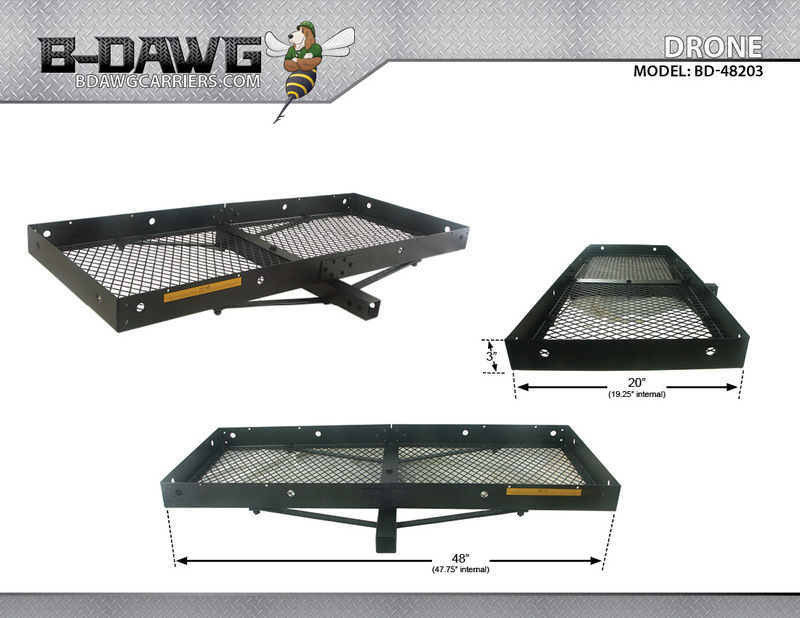 The B-Dawg Drone is the smallest, lightest and most affordable of all the B-Dawg carriers. 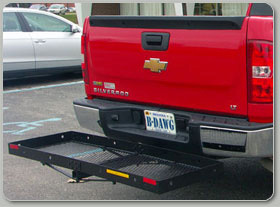 Measuring in at 48" x 20" x 3", the B-Dawg Drone is the perfect solution for hauling tools, luggage, golf clubs or anything else you might not have room for in your vehicle. 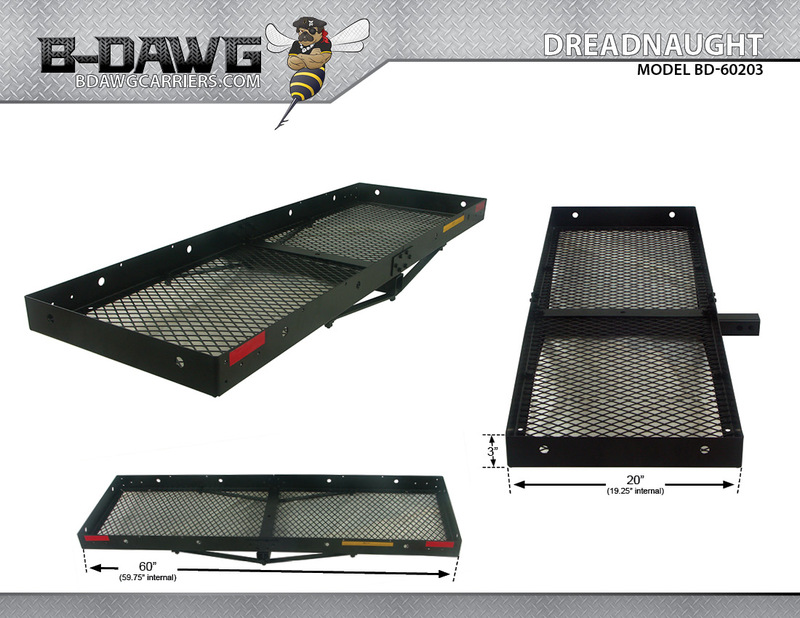 The B-Dawg Dreadnaught is the bigger and badder older brother of the B-Dawg Drone. 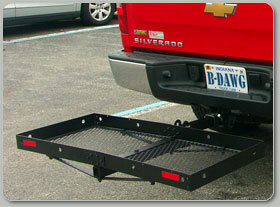 Measuring in at 60" x 20" x 3", the B-Dawg Dreadnaught is wide enough to carry even the bulkiest of items. 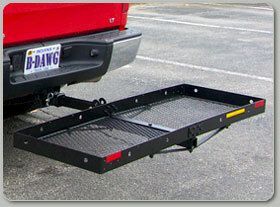 It's the perfect solution for hauling tools, luggage, golf clubs or anything else you might not have room for in your vehicle. The B-Dawg Folding Drone is everything you love about the B-Dawg Drone with the added convenience of folding to an upright position when not in use. The folding is accomplished via an additional connection to the main tube. 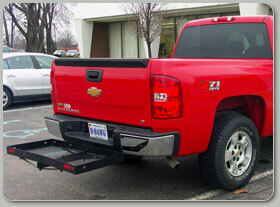 When the carrier is in the upright position it makes parking a breeze!